Gold has been used as money throughout history and like most precious metals, is often used today as a hedge against inflation or currency devaluation. The traditional way of investing is by buying gold bullion and in some countries, it can be bought or sold at major banks. Gold has always been considered to be a sign of wealth, beauty and prosperity and for this reason, has been coveted throughout the centuries. The early man dedicated gold to the glorification of their Gods. Gold was used to construct shrines and idols, and wealthy families had cups, plates, vases, and jewelry made from gold. The fact that gold can be easily molded, formed and measured meant that it eventually became a trading medium throughout the world. Bartering became a thing of the past replaced by the production of gold coins. The science of gold mining was advanced by the Romans who mined extensively by diverting streams and constructing equipment to help them in their endeavors. Gold was used to trade with countries such as India, China, Britain, Africa, and Egypt. Money (Gold) had created the world economy. Gold bullion is a bulk of gold that is made into bars or coins. 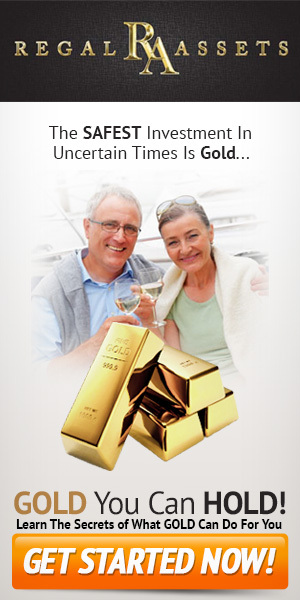 When you buy gold bullion is a safe way of preserving your wealth and passing it on to future generations. It gives you a solid base from which you can then consider other investments. Assessing the reasons for investing in gold bullion has to take into account whether you’re a speculator, investor or saver. As an investor, you must decide if you want to invest in the short or long term. Having precious metals in your portfolio cushions you against economic disasters and allows you to speculate in other areas knowing you have a secure base when you buy gold bullion. It’s possible to buy gold through a dealer. This, in reality, means your gold is, in fact, a promise to pay you the value of the gold if and when you decide to sell. Another way to buy gold bullion is through a gold bank. This means you have a gold bar/bars set aside in your name in a vault. The advantage to be had from purchasing in this way is that the bank pays for the storage and insurance and it can be converted back into currency. Diversifying your assets means that if you decide to buy gold bullion, it’s best not to be dependent upon any one provider. Spreading your assets gives you more security and if you intend to keep bullion in your possession, you need to consider storage with a secure and specialist third party. You need to make sure you understand the legal conditions in which your bullion is stored once you have decided upon a location. Today’s financial world is massively interconnected, which can result in a series of individual and corporate bankruptcies, putting financial institutions at risk. Therefore when you buy gold or even silver bullion it’s important to consider where best to keep it outside the financial system. If you have the facility for home storage, security has to be your prime consideration. The advantages of buying gold bullion? The price of gold bullion fluctuates daily but is minimal compared to the stock and equity market. It’s a profitable investment during inflationary periods. It’s cheaper than investment in other financial markets. Its inflationary hedge offers stability whatever the market conditions. Gold Bullion is a preferable alternative when looking to diversify one’s portfolio. When you buy gold bullion it will not earn you any interest. Its stability means the return on your investment is lower than other volatile financial investments. Gold is a physical asset and as such needs to be protected from theft or loss. When you buy gold bullion you are protecting yourself and your family against fluctuations in the world economy and giving yourself a firm basis from which to consider other investment opportunities. Providing you buy gold bullion carefully and make sure your bullion is secure, you will have a monetary cushion to fall back on should you ever need to do so. When you want to buy gold bullion, always research carefully all the options available. Make sure you’re getting the best price and quality by using only the most trusted and reputable dealers. If you haven’t considered buying gold bullion, then now is the time to do so. It’s never been easier for anybody with a bank account and parks funds to trade gold thanks to the internet. So where to buy gold bullion online is simply a matter of finding a reputable dealer, and there are plenty out there. Next, tell them how much you’d like to buy. When countries sense unstable currencies may have an impact on their financial position, they have a tendency to acquire more gold to strengthen their own currency and as a fall back position for trade in case of hyperinflation. Unexpected financial situations like the sub-prime mortgage lending schemes can result in unpredicted situations and even massive swings in currency valuations. When currencies struggle, import prices rise and the country’s ability to pay diminishes as the money in the bank is worth less internationally. In some instances, trading partners will demand gold as payment rather than currency. The particular properties of gold bullion make it an easy metal to work with, and it is resistant to most things in nature. Cultures around the world used the yellow metal in their religions and as a signifier of wealth and prosperity. Even as early as ancient Greece it had come to be used as a form of money. Even in our world of credit cards and internet banking, we still look at bars of gold with awe and wonder, much as our ancestors would have. All the things we value about this precious metal – it’s rarity, softness, resistance to erosion or tarnishing – make it a highly unique precious metal. Precious metals are by their nature less reactive than most elements, and gold is no exception. As they understood little of its chemical properties, our ancestors believed the metal to have magical powers. As time went on, and as people began bartering for goods and materials, gold and silver suddenly became useful as money. Ancient cultures used gold and silver as portable and private money – that is, in the form of “coins“. There is a possibility that the metal we use today has been re-worked from earlier items – so that watch you’ve been looking at may have had another life entirely! It is often easy to forget that buying gold bullion has had such a huge impact on our society and culture. Gold is so useful today that its scrap prices are high and recycling is very common. It could be said that our artistic, religious as well as our financial expertise developed with the metal. While gold may not underwrite the currencies of our governments, it still plays a huge role in our society. Central banks around the world still stockpile gold and popular culture still sees its use in jewelry as an indication of style and wealth. Large investors in gold bullion pay their bullion dealer to store gold they purchase in a vault controlled by the dealer. This is because gold is expensive to transport and risky to store. This also makes it easier to sell gold since it is already located at the bullion dealer’s facility. However, many investors are unaware that such an arrangement makes it easy for the bullion dealers to sell gold that doesn’t actually exist. If a few buyers choose to take delivery of their gold, the bullion dealer can usually produce enough to satisfy the order. But if many investors asked for delivery of their gold, the bullion dealers would have to buy enough gold on the open market to satisfy demand, thus driving up gold prices. And if enough investors asked for delivery, the bullion dealers would default and not be able to supply the metal. By some estimates, there only exists enough gold in the world to satisfy about 10% of what investors think they own. More and more, people are losing faith in the paper currencies of their government. They are cashing out of stocks and bonds and buying physical assets such as gold. Investors, even large investors, are asking for delivery of the gold they buy. What does this mean for the smaller gold investor? The price of gold will continue to rise for the next several years and you can benefit from the trend by investing in gold. Your primary options for investing in gold are to buy gold bullion and take delivery, buy bullion and allow your gold dealer to store it for you, purchase stock in gold mining, exploration, and other gold-related companies or invest in a fund that holds gold securities. Given the current economic turmoil, the safest investment is physical gold bullion that you purchase and store yourself. 1 oz gold bullion coins are the preferred choice of many investors. Why? Because purchasing gold coins is easy, safe and coins can be quickly sold for cash should the need arise. With a few precautions, buying 1 oz gold bullion coins can be easy, fun and financially rewarding. Only buy 1 oz gold bullion coins that are produced by government mints. It is perfectly legal to privately produce gold coins as long as they are not designed to imitate coins used as currency. Buy 1 oz gold bullion coins instead of gold bars. When it comes time to sell, it is more difficult to prove that a gold bar has the gold content claimed. With a coin minted by one of the world’s large governments, the buyer knows exactly what they are getting without the need for expensive verification. Buy from a trusted source. This is especially important when you are buying coins by telephone, mail order or on the Internet. If you are uncomfortable with transacting business in this fashion, find a reputable local gold dealer and buy in person. Search for bargains. You can often find private parties who are willing to sell their gold bullion coins for less than the spot price of gold. Check classified ads in your local newspaper, on www.Craigslist.org or at Internet auction sites. Store your gold in a safe place. Whether you keep it in a safe in your own home or a safe-deposit box at your local bank, be sure your gold is secure. Follow these simple guidelines to enjoy investment growth while protecting your hard-earned money in an uncertain economy.